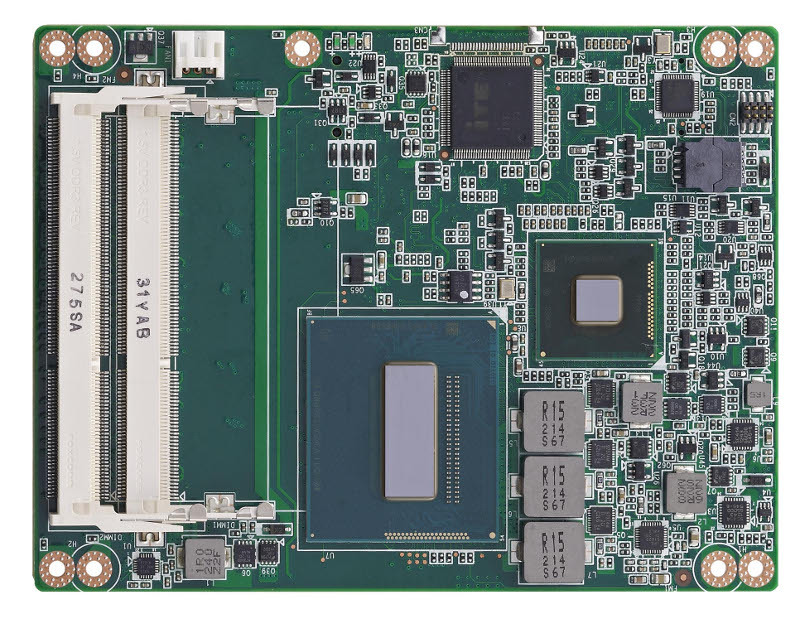 Advantech Computer On Module series supports fanless operation in various small form factor while supporting CPUs ranging from AMD LX800 to Intel Core I series. Diverse COM solutions: COM-Express Basic / Compact / Mini, ETX and Qseven. Not only does Computer On Module allows quick design turnover, it also provides the benefits of easy development, maintenance and migration. 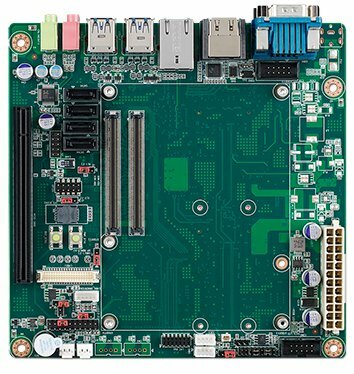 COM Express® Basic includes Intel core I, Intel atom, Intel 4th Generation. It is the latest 125 mm x 95 mm COM form-factor which supports most powerful x86 processors. 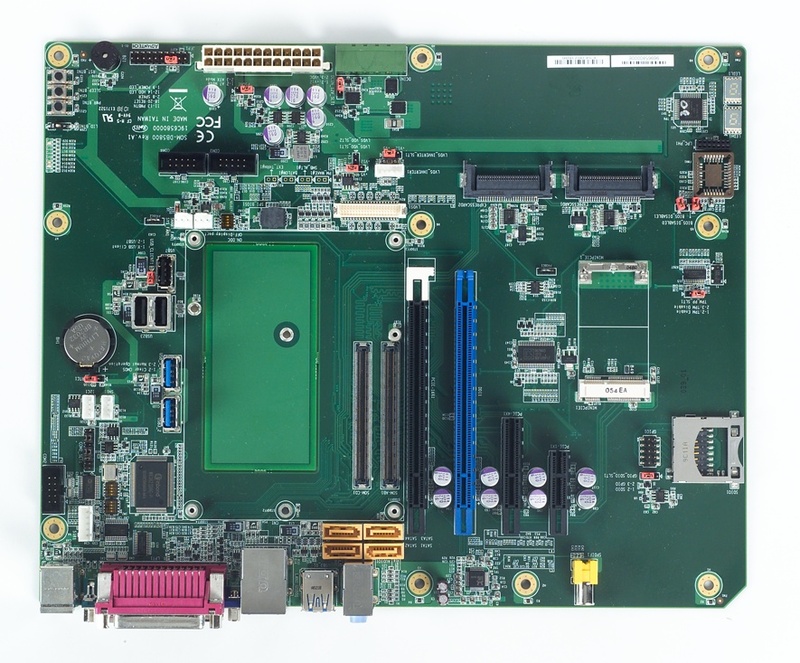 COM Express® Basic brings new high-speed interfaces to carrier boards, such as PCIe x16 x8 x4 x1, SATA3, USB 3.0 and DDI. With a wide range of extenability for diverse appliations. Advantech COM Express® Compact includes Intel core I, Intel atom, Intel 4th Generation, it is one of the COM Express® series products which are all designed with low power consumption processors. They perform the same functions and same pin definitions as the COM-Express Basic module but with smaller board dimensions of 95 x 95 mm. COM Express® Compact is the best. Advantech COM Express® Mini series boards includes Intel core I, Intel atom, Intel 4th Generation. Advantech COM Express® Mini series boards are mere 84 x 55 mm in size and are the most compact COM modules. COM Express® Mini series is compliant with the COM Express Type 1/10 standard pin definition, and with a slight modification are able to leverage existing COM Express® carrier boards. COM-Express Mini. Qseven equipped with Intel core i and Intel atom. Qseven is a new concept in ultra-small form factor, which supports low power processors with on-board memory and storage. The Qseven module transfers all the major signals and interface to the carrier board via golden fingers at the PCB edge, instead of using traditional board-to-board connectors as other COM form-factors. 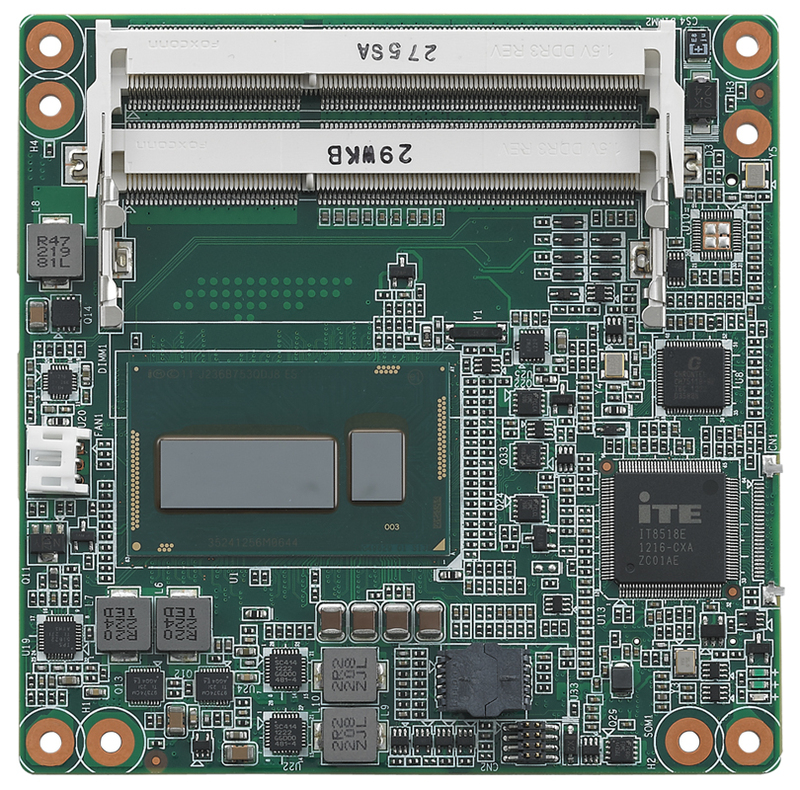 ETX / XTX CPU modules are 114 x 95 mm basic form factor, which supports Intel Core i, Intel Atom and Intel 4th generation and provides a scalable solution that meets advanced CPU application development needs and reduces time-to-market. 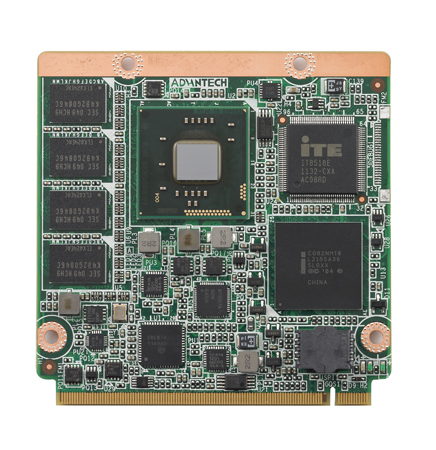 ETX / XTX CPU module has great I/O capacity and meets both ISA and PCI needs, while supporting the Computer On Module concept for plug-in CPU modules. With a wide range of processors available including Intel Core i, Intel Atom and Intel 4th generation, Advantech ETX / XTX CPU modules give application engineers powerful CPU platform choices, streamlining the product development process and reducing time-to-market. Advantech is a founding member of the ETX Industrial Group (ETX-IG). Advantech Development boards provide a schematic software and reference to reduce design effort at the development stage. 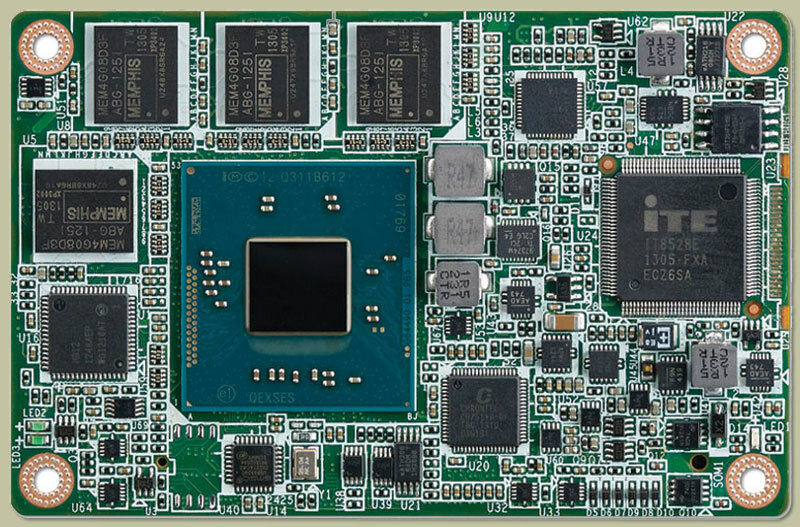 Development Boards have been designed in order to allow customers to verify the functions of COM, text carrier board problems and support COM series.Advantech has designed a Development Board which can be used to test carrier board problems and support COM series, and Qseven, ETX / XTX form factors.